Man, what a month it has been. I am so thrilled for December to come and am looking forward to much fun. That being said, I didn't want to just skip this post all together but honestly, everything that I learned and focused on this month I mentioned in yesterday's post. So, I think I will just leave it at that! 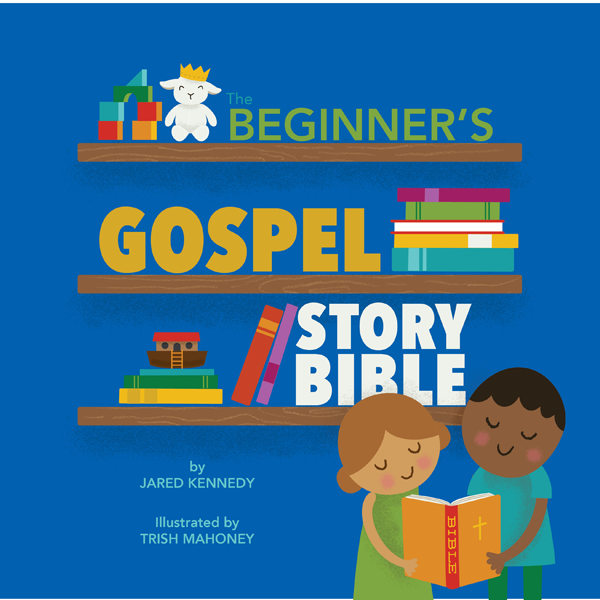 Oh man, I cannot say enough good things about The Beginner's Gospel Story Bible by Jared Kennedy. 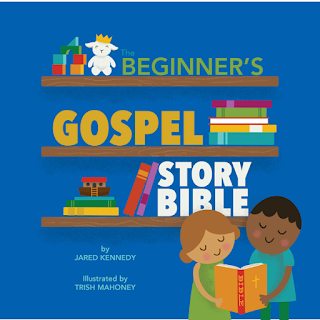 Over the last four years, we have read and utilized many different Bible story books and many of those are still favorites of ours. However, this one just might top the list! First, the book itself is well made, thick and sturdy. If you have kids, you understand why that matters. ;-) The illustrations are incredible. Absolutely incredible. They aren't overdone and I think that helps the kids to focus on them more. The stories are numbered which we have enjoyed when we are switching off nights reading stories and I can just tell my husband we read story #11 last night, etc. The stories themselves are well told and shortened from the actual Bible stories. I feel like they don't mince words though. They are accurate and truthful but on a level that my four year old can understand. It is a little pricy from what I see on Amazon but I can say with certainty that it would be worth it. We will read this book over and over again. It's Christmas time!!! We are well into the Christmas season in our house and that certainly means it is time to read a Christmas novel! Christmas at Grey Sage by Phyllis Clark Nichols was just what I needed to read. I must admit that it did start out a bit slow for me and the first couple of chapters didn't grab me. However, I kept going and it definitely redeemed itself! 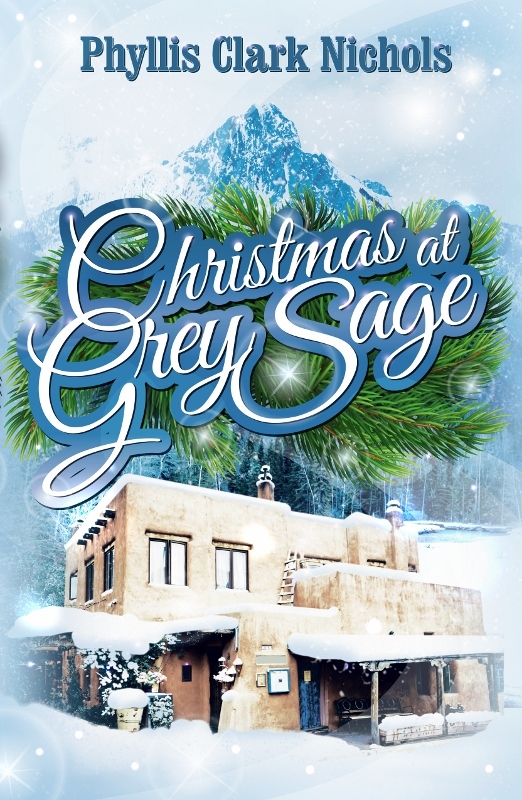 Based just outside of Santa Fe, Christmas at Grey Sage shares the story of two couples who run an inn together and have a unique group of visitors brought along by one of the women's friend to stay just before Christmas. Like I said, the first few chapters progress slowly and you don't really get a great feel for the characters. Then the weather changes and everyone ends up "stuck" at the inn for Christmas and that's when the story really takes off! The owners begin to share parts of their own lives and the guests do the same. People pair off and learn each others stories and it's all very organic. A near tragedy brings them together even further and just warmed my heart! The very last chapter fast forwards several years to share a "where are they now" and I really like that part. This was a fun and inspiring little Christmas novel. 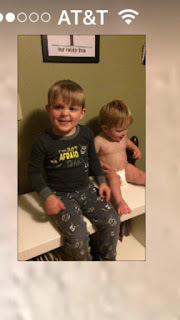 These two boys are pretty darn incredible and I am super super grateful that I get to be their mom. That being said, parenting is HARD! The last several months, for whatever reason, have been extra challenging for me. Mainly in parenting but also in life in general. Several weeks ago at church, the message, which wasn't about parenting AT ALL, mentioned the importance of focusing on the positive not the negative. Two days later, at MOPS, the speaker talked about the importance of being mindful of what is being put into your heart and mind as well as what is being put into the mind and heart of your children. Those two things just got me thinking and reflecting on what's been going on in our lives. I talked to Matt about what had been put on my heart and I decided to make some changes. I grew up with an Italian dad. He's loud and I'm loud. 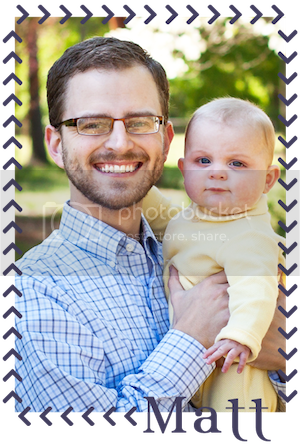 However, that loudness was found in more of a negative context recently and it was affecting my husband, my boys and me. I decided to really work toward lowering my voice, even whispering if necessary, and talk things through more appropriately. 2. Focus on the good and move quickly past the bad. I'm focusing on the things my family and myself are doing well and when a bad situation occurs, deal with it and then move past it fast. 3. Stop some of the "negative" things I'm letting influence my life and add in some more positive things. I just did some reflecting on what was going into my life and how it was affecting what I was saying and doing. I have removed some things and added in some better replacements. 4. Remember that we are all in the same corner. Matt and I have had some tiffs recently and we have had to refocus and remind each other that we are in the same corner, on the same team and the same goes for our kids. Our goals as a family are the same. Thinking like that has caused us to move quickly through conflicts much easier. 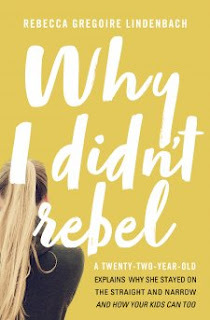 Why I Didn't Rebel: A Twenty-Two-Year-Old Explains Why She Stayed on the Straight and Narrow -and How Your Kids Can Too was a book that kind of drew me in just because the way culture is shifting now. I feel like so much (but not all) of what I'm hearing is that children, teenagers, young professionals, have to branch out, sow their wild oats, etc in order to achieve adulthood. Again, I recognize that this is not the belief of everyone but it is a popular belief and I don't agree with it. That being said, I wanted to love this book SO MUCH but it was just okay for me. Lindenbach shares at the beginning of the book that she will not just include her story yet she would include the stories of many others she had interviewed in her research. 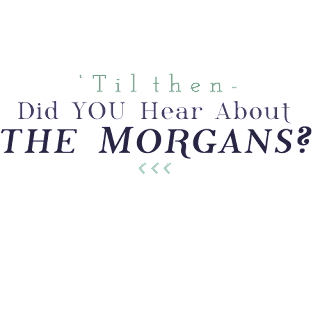 I loved that idea in theory but I didn't love the way it played out in the book. 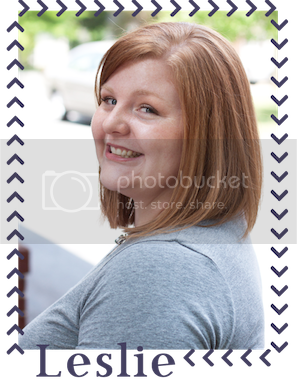 I felt that the conglomeration of all of the stories made it difficult for me to follow. That being said, the information presented in the book makes a lot of sense and I gleaned some good information while reading. Much of what was presented by Lindenbach focuses on how parents can teach their kids, lead them and be an example for them in an effort to show them that rebellion isn't necessary. Don't put them in a box but allow them to be exposed to situations all while teaching them about worst, bad, good, better, and best choices. I think this book would be great for parents of tweens and teens especially. Thanksgiving was an incredible day! We started it off first thing in the morning with breakfast with Grandmom and Granddad. We had eggs, biscuits, refried black beans, bacon, apple fritters. YUM! We were there during morning nap for Maddox, so while he was asleep, Grandmom and I had a great chat and the guys watched the parade. Mason was in hog heaven! We grabbed a group shot before we left and I just had to laugh! I mean, sometimes, it just isn't happening! When we got back to our friends' house, we played outside a bit before nap. Everyone got a quick nap in and woke up happy as can be! We headed to Waffle House shortly after nap and we almost hit dinner on the way! We were pretty darn happy to have the place to ourselves! Mason was focused on the waitress making his waffle! After getting our fill, we drove over the Wal-Mart to walk it all off. We did some scoping out for Christmas Day snacks and found the perfect amount of cheese! On our last drive up the driveway, we saw a deer! We fed the horses some treats, too. Maddox finished up with poop scooping that evening. Haha! After the boys were in bed, Matt and I ate some leftover apple fritters with milk and hit the hay! Sunday morning, Matt and I were awakened at about 3:00 a.m. with a wreck outside of the house. Matt called 911 and we made sure the driver was okay before heading back to bed! Before church, we headed to Target to pick up a couple of things. This has become a fun little before church activity. I asked Matt to grab a picture or two. yeah, that went well. We attempted a family picture...again, kind of didn't happen but hey, it's life and I've learned to accept it. Church was incredible and we definitely left feeling awfully THANKFULL! After church, we had some relaxation time and even naps for all! Matt had a photo shoot that afternoon so I took the boys to the library before AWANA. 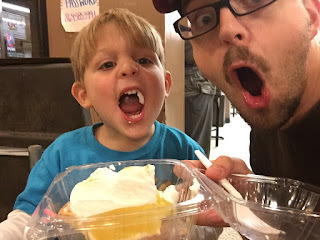 AWANA was the last one of the year and the boys had a blast! Monday morning came and Maddox and I enjoyed our sweet time while Matt and Mason were at speech. Mason made a pattern with his lunch and I was so proud! That evening, Matt had his Fuse Feast and he came home with this! Oh my word. That evening, I enjoyed a rare treat: live viewing of This Is Us! Wednesday morning, the boys were excellent barn chores helpers! Later on that morning, we headed to the Pacolet library to play and attend story time. We had such a great time that the boys didn't want to leave! Maddox located an old cell phone and was talking to his "people". Mason, on the other hand, found a cap gun and was hunting deer. Matt got to the farm that evening and I didn't have to work so we spent hours outside. I tried to jump on the trampoline but Mason told me it was for men only. Stinker. The animals were all as happy as can be, too. The weather was incredible! Mason and I did a little drawing. After our evening chores, Mason enjoyed a little chill time before bed. Friday morning, the boys and I finished our last round of chores before heading home. Of course, our last round wasn't chill because a duck got stuck and I had to rescue it! We headed home from the farm and after work, Matt took the boys on a date. 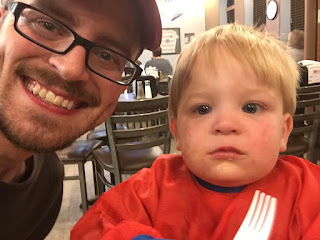 They grabbed burgers and pie at Sugar and Spice while I stayed home to do laundry! Saturday was a day of errands for the boys and me and photoshoots for Matt. It was a fun day. We got to visit with our neighbors, too. 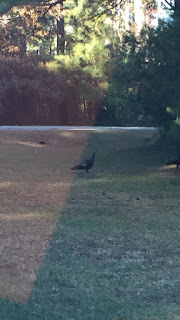 Between sickness, being out of town and just life, we had not seen them in a while! 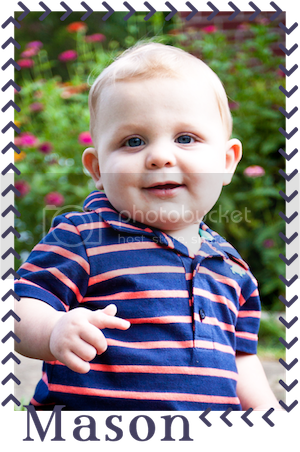 Mr. Dean pushed Maddox for a bit and it was so sweet! Matt took the boys to the local toy store downtown and they had a blast! The boys and I got some good time outside as well. The weather was perfect! After dinner, the boys decided to end the week with a bit a trouble! They got over onto the bookshelf to sit and relax. haha!